Be found everywhere online and increase your local search ranking fast! A citation is basically an online directory listing which provides details your business as well as gives your website and business more "real estate" within the search engines. 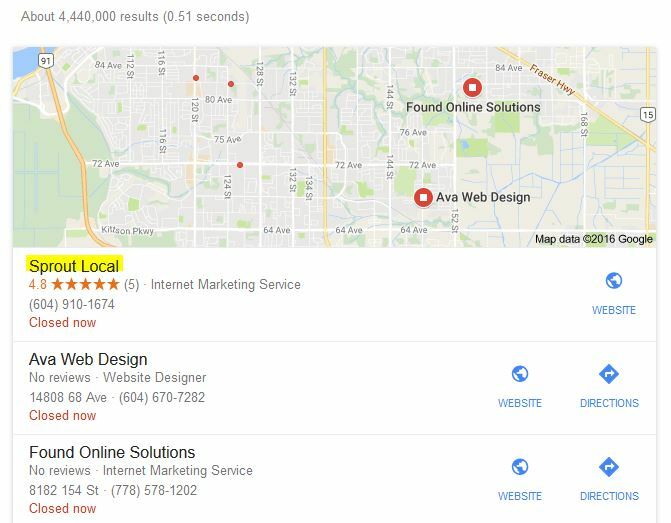 It's a must for boosting your local ranking as well as getting you moved up into the Google "three pack." Being in the top 3 ﻿local services﻿, you will automatically appear on page 1. Once you've gotten your organic rankings up on page one, you will secure 2 spots on that first page. The other benefit to having citations done is for the backlink. That's 0.75 per citation (listing)! Each listing is hand done - not automated. We include the following in the listings: photos, videos, logo, social accounts.. Check for existing listings; if one already exists, we verify that the information is correct. Full, verifiable report upon completion. Most of our listings will be completed on auto-approve directories. However, when a directory only accepts approved listings, we cannot fully guarantee that your submission will go live. Our live listing rates are very impressive - approximately 80%. Please note, we are unable to provide a 100% guarantee about submissions becoming live listings, especially on manually approved local directory listings. In this case, we will provide you with new submissions as promised in our packages, by finding replacement directories in which to submit your business. *Important: make sure that the "NAP" (name, address & phone number) is consistent with your website and Google + page!